This tattoo is a dream come trough after years of being a fan finally i dit it. he standing on this leg because i have handicap and can't walk properly so this is my pirate leg. Before the tattoo i hated my leg now I'm proud of it. 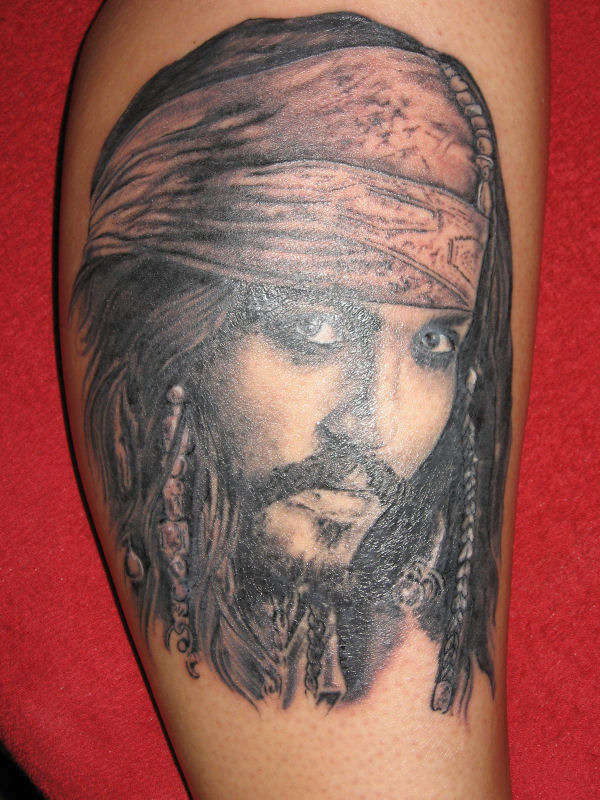 Omg this is awesome I love it and I loveee Johnny Depp! JUST GET EM ALL... EDWARD, BARNIBUS, CORPS AND ANYOTHER J.D. CHARACTER. GO ALL IN!